Recently remodeled, this office building is suitable for any office related business. The building is in excellent condition. 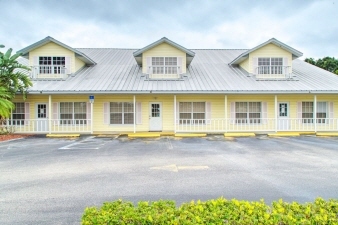 Situated directly across the street from Florida Heartland Hospital, & sits among other medical related buildings. Featuring a reception area, conference & training rooms, offices, team room, managers room, admin rooms & kitchen.